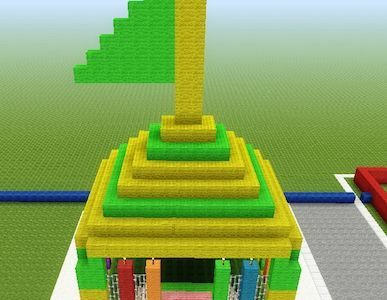 My Minecraft Bouncy Castle is cute and using the slime blocks makes it fun and functional. 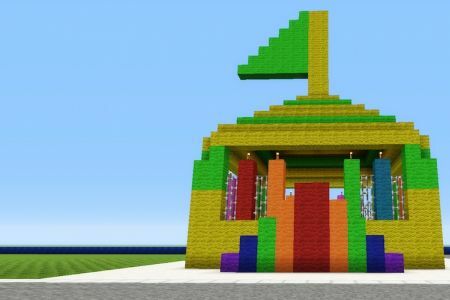 A staple for the coolest parties, a bouncy castle should be a staple on your minecraft map to. They are so easy to build and fun to jump around on. You just can’t go wrong with this build. It is easy for anyone to feature a bouncy castle in their map. 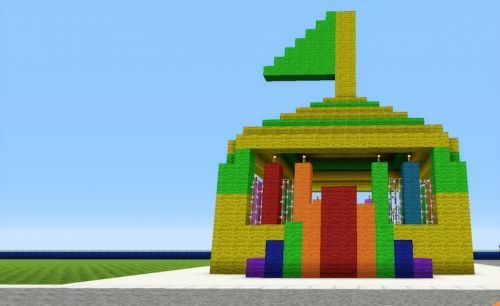 You just can’t NOT build a bouncy castle with your slime blocks. Building a bouncy castle yourself is really easy to do. Its pretty basic and is actually quite fun! You could get more creative than I have, by adding jumps or a special theme. I can already start to imagine what a pirate themed bouncy castle would look like. You’d drop from the plank into the bounce pit and reach heights you can’t imagine. To start the building of your bouncy castle, I recommend making the pit first, and building around it. 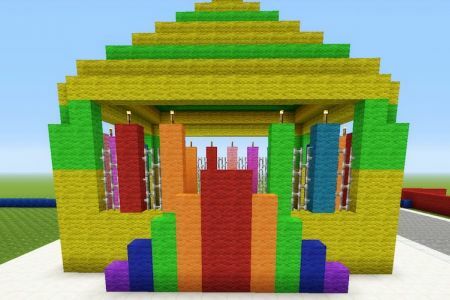 For a simple design like mine built in Electra Amusement Park and shown in the pics, you can start with building the basic square building. 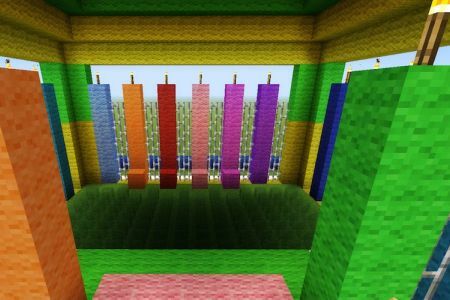 I used wool blocks but use any blocks you like. I don’t recommend using snow or ice blocks however but if you do be careful with your lighting. You don’t want to melt your structure! 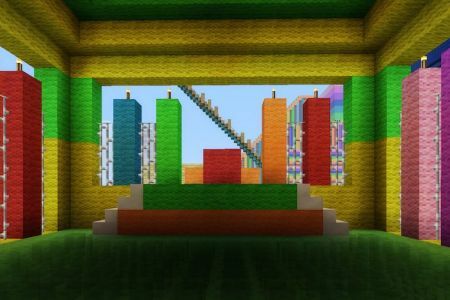 After you have built the outside walls replace the floor with slime blocks. You’ll then want to create the entrance to your castle. I recommend making the entrance at least 3 or 4 blocks high so you have an edge to jump off and into the pit. It makes it more fun. 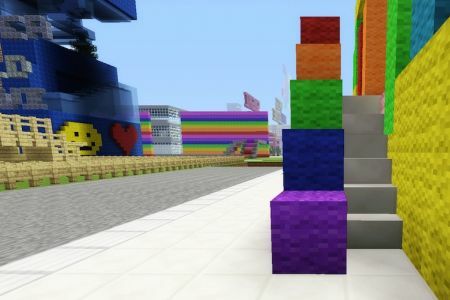 Be sure to add stairs to get back onto the platform and so your users can leave when they are done. To make the castle more like a real bouncy castle, I replaced every other row of wall with iron bars so you can see in and out. 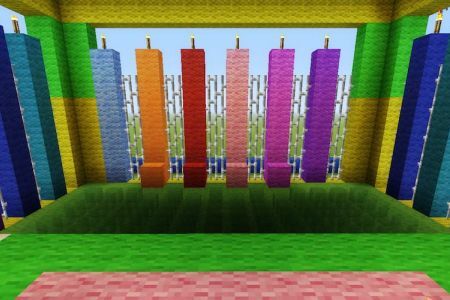 I also added a flag on the very top and used alternating wool colours to give it a fun colourful effect.